AMG Umbrella. 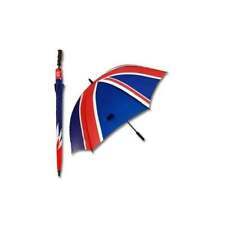 - Car umbrella with logo. 1 piece Automatic umbrella. • There may a slight deviation in colour of actual product due to lighting affect when taking photographs. • orders before 5pm BST. Design Go Travel Lightweight Umbrella. Colour – Blue. Push button locking device. 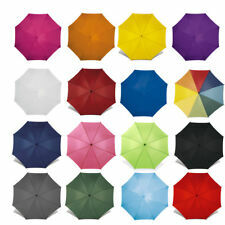 Beautiful umbrella with 20 colors creating the perfect rainbow effect. 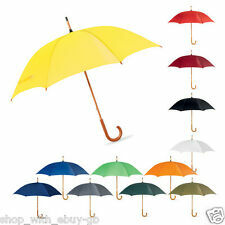 Each order you will receiev only 1 Large Rainbow Umbrella. Large 30" doubles as a fashionable walking stick- light weight. Pet Supplies. Extra strong automatic umbrella with great coverage. - Highly engineered to provide maximum wind resistance. - Genuine wood handle. - Automatic opening at the touch of a button. We cannot show the item as a gift, as second hand or at a lower price. Durable automatic gents folding umbrella. - Automatic opening at the touch of a button. We cannot show the item as a gift, as second hand or at a lower price. Jack & Jones. The Order reference number. 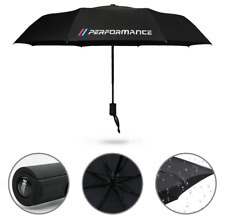 BMW Performance Umbrella. Type: Fully-automatic umbrella. 1 piece Automatic umbrella. • There may a slight deviation in colour of actual product due to lighting affect when taking photographs. Ralph Lauren Polo Big Pony Blue Umbrella/HOLIDAYS/BIRTHDAY/PARTY/Easter/Travel. Its a beautiful blue COLOUR Umbrella with Ralph Lauren logo at front. It's a big umbrella. It is navy blue white colour in colour. It's lower and upper is wooden. It's outer cover is also navy blue in colour. Classic Canes Gentlemans Umbrella with a Traditional Bamboo Handle. Overall height of the umbrella is 92cm (36"). and the canopy width when the umbrella is open is 104cm (41"). A very stylish gentleman's umbrella with a traditional bamboo handle. SUSINO UMBRELLAS ARE HARD WEARING & DURABLE. DELUXE UMBRELLA WITH COVER. EACH UMBRELLA IS MANUFACTURED USING HIGH. GOOD DELUXE QUALITY. PORSCHE Designer Golf-Regenschirm,Grau,Automatik,XL,2-Pers.122cm NEU & OVP !! Designer Golf-Regenschirm. Großer Regenschirm für 2 Personen mit Öffnungsautomatik. Aluminiumschaft mit Glasfaserschienen. Grau, Automatik, XL, 2-Pers. NEU & OVP ! Fold away umbrella from the hugely popular Harry Potter range. Each panel has a contrasting border around the bottom, giving it a real varsity feel. 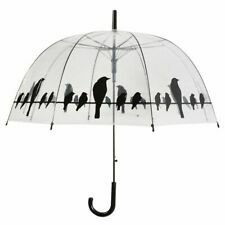 The three fold umbrella features an extendable shaft, rubber handle with string hook and matching sleeve with 'Gryffindor ' wording on it for easy storage. Lightweight automatic umbrella that provides great coverage. - Large canopy that spans 97cm when open. Non-Wired Bras. Multiway Bras. Jackets & Coats. Hoodies & Sweats. French Knickers. Brushes & Combs. A strong incredibly compact umbrella that fits easily into your man bag. Sports Bras. Non-Wired Bras. Multiway Bras. Jackets & Coats. Hoodies & Sweats. French Knickers. Brushes & Combs. When dry, the design features a white Hogwarts crest on each panel. In the rain, the umbrella magically transforms to show the crests in full colour. This three fold umbrella features an extendable shaft, rubber handle with string hook and matching sleeve with 'Hogwarts' wording on it for easy storage. This is a real must have for all DC COMICS fans! What makes Balios umbrella a great umbrella?. About Our Latest Design Balios® Premium Quality Umbrella- Dark Navy. ★★ IMPROVED STURDY CONSTRUTRUCTION PURE AESTHETIC BEAUTY ★★ --Based in Berkshire England, Balios is all about authentic quality and contemporary aesthetic beauty. SilverBack UV & Rain Protection Umbrella. The Silverback range has switched the conventional design so the silver is on the outside and black on the inside. This maintains the benefit of filtering out almost all of the direct UV and reflecting it away and the black inner lining is intended to absorb the indirect UV rather than reflect back onto your head, face and upper body. SAMSONITE - Logo auf Schirm. Extra: Sturm geschützt, durch. oder im Auto-Handschuhfach. - super kleiner Ergo-Griff, passend zur effizienten Leichtbauweise. Gewicht: 170 g. - extra leicht und klein im zu-. Fold away umbrella from the hugely popular Harry Potter range. Umbrella has three panels which feature a black background with a white letter 'H' and the word 'Hogwarts' below while the other three panels feature a black repeat print pattern across the white background Each panel has a contrasting border around the bottom, giving it a real varsity feel. Official Manchester United FC compact umbrella in black Silver MUFC crest prints to canopy MUFC crest printed protective sleeve Height 57cm - Diameter 95cm approx. Many more gift ideas @ FootballShopOnline . Schirm öffnet und schließt automatisch per Knopfdruck. Handys & Kommunikation (177). Clutch / Abendtaschen. Uhren & Schmuck (21). Material: Bezug 100% Polyester. Die acht Schienen sind zum Schutz vor Verletzungen außen abgerundet. Harley-Davidson Motor Oil Bar & Shield Umbrella. Ultra mini and retractable. Features three distressed Genuine Motor Oil Bar & Shield screen printed logos. 23-01-2019 12:10:22. The Suprella is sealed with a special high tech nano coating, so it doesn't catch and absorb wetness and liquids. Hands, clothes, floor and furniture stay dry! All models have the special high-tech nano coating which lets thne rain just roll off. What makes Balios umbrella a great umbrella?. About Our Latest Design Balios® Premium Quality Umbrella- Silver Grey. ★★ IMPROVED STURDY CONSTRUTRUCTION PURE AESTHETIC BEAUTY ★★ --Based in Berkshire England, Balios is all about authentic quality and contemporary aesthetic beauty. 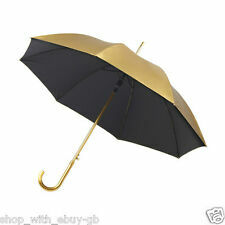 MINI Genuine Umbrella Foldable Brolly Reinforced Bars Windproof Push Button. 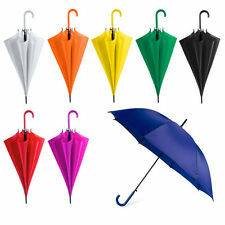 Look good, stay dry and get noticed with this foldable MINI umbrella. The practical push button allows an easy opening and closure. Official SAFC compact umbrella in black Silver SAFC crest prints to canopy & protective sleeve Height 57cm - Diameter 95cm approx. Superb quality gift item for any SAFC fan! Many more gift ideas @ FootballShopOnline . Colour : Grey. Function : Press open & close button. Made from high-density water-repellent fabric with windproof, fiberglass ribs. 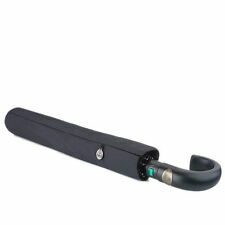 Automatically open and close the umbrella with one push of a button. 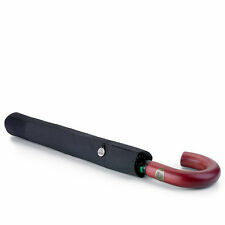 Durable ribs stop the umbrella from flipping inside out in strong winds.